i would love to get some Christmas gifts made and practice more different stitches! 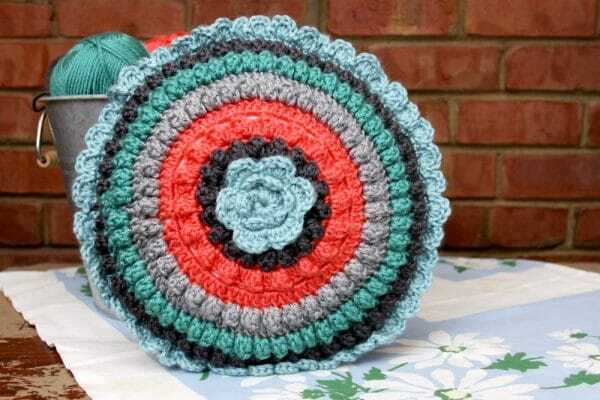 I would love to make a African Flower Block Afghan. The pattern is so beautiful. Ooo, I love African Flower squares! I would love to make some Christmas slippers for my whole family! Oh dear! I am sorry about your Carpel Tunnel :( Good luck to you, and I do think those hooks might help. Yes! I LOVE them. The tip is smooth, and really goes in and out easy for me. You are welcome, thanks for your comment! Christmas presents and a poncho for myself!!! :) thanks for the chance! Thank you so much for the chance. I love your blog! In love!!! Do you take orders?? I’m being serious! This is such great fun….super way to spend Labor Day…good luck all!!! Good! Practice makes perfect! I want to try knitting, I love all the beautiful textures you can make. My daughter has been asking for me to make her and her doll matching afghans, so if I won I would make them for her. I have been wanting to make the little sleeping bag type things for kids. If I won this yarn, I would make one, at least! Love all the colors u used in the pillow. Love the design also. I LOVE to crochet whimsical hats and also arm warmers. 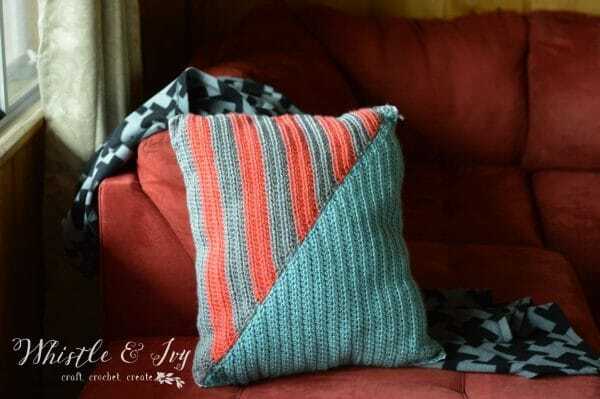 I would use the yarn in this give away to make more! Thanks for the opportunity to win such a great prize. I would make beautiful cowls. All the things I could make with that yarn!!! I love your website! Thanks so much for all the free patterns, the links to the awesome patterns to purchase and the always fantastic giveaways! Thank you Nadine! You are so welcome! Yeah I love give aways, you can’t win if you don’t put in for it. 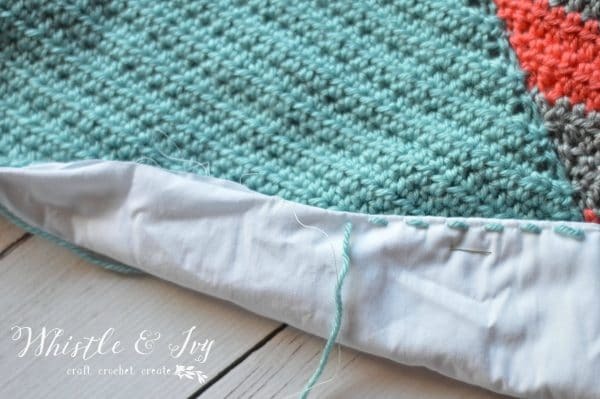 I would probably make a granny square Afghan! I love to enter give-away contests. Hope this is my lucky day! Thank you for sponsoring this give away! 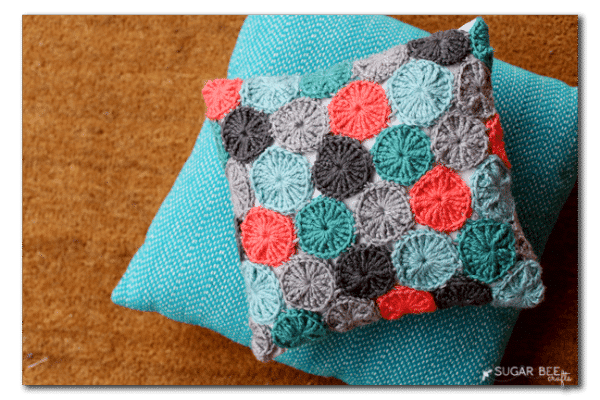 Beautiful pillow designs, and thank you for hosting this awesome giveaway! I would LOVE to win. I have several friends expecting babies this winter so I would make baby gift sets with this lovely yarn. Thank you! This yarn is SO soft, it would be perfect for a baby set :) Good luck! I’m so glad I found your wonderful website! Your patterns are awesome! and the tutorials for beginners are great! I’m going to make some of those star flower light strings for sure! 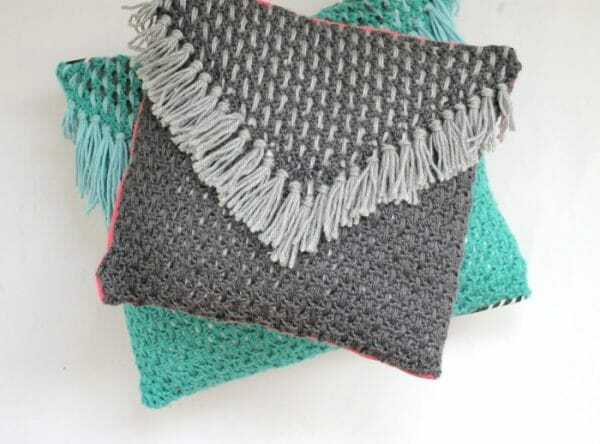 What a great way to use up all those little bits of yarn we all find in our stash! Thank you for this giveaway opportunity! I sure could use a new winder…mine has just about had it and I can’t afford to replace it for a long, long time! I plan on making an lapghan and pillow as a gift. I have been wanting a ballwinder. Thank you for this wonderful giveaway. Great gifts. Would love the winder!! what a great giveaway! thank you for the opportunity! i did everything except twitter because i dont have one! i hope win! id love some new yarn! I would make something to keep me warm through the winter months. Maybe even some of your baby shoe patterns. Although, I do love those pillows you made too! Thank you for the chance at this giveaway. The pillows are great. 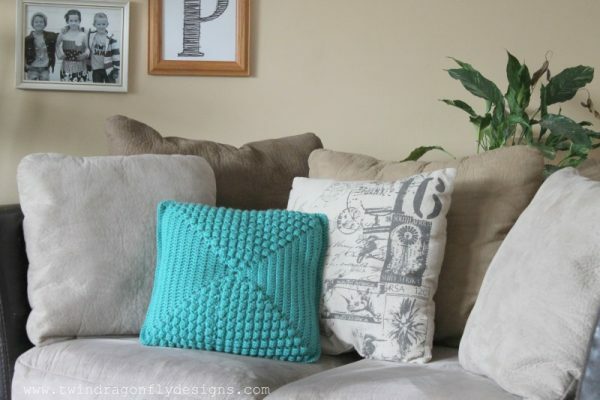 I have a brown couch so I can make quite a few pillows of different colors! Thank you! Fingers crossed! Great giveaway! I could use the yarn in so many ways! Thanks for sharing! If I win the giveaway I will probably make hats for my church donation and if any yarn is left I will make Christmas gifts. My friend is getting a new apartment-I may have to make her some of those pillows! Thanks for the contest. Would love to win, those colors are great together. Thank you for the pattern!! Would love to win this!! I would make Christmas presents! Thanks for the opportunity. I would make a lot of throw pillows! Thank you so much for hosting this giveaway! Getting the supplies today to make this. I would love to win. If I did, most likely I would use the yarn to either make hats for the homeless, nursing home residents, or sick children (e.g. cancer, other illnesses) or preemies. Pretty pillow! Thanks for the giveaway! 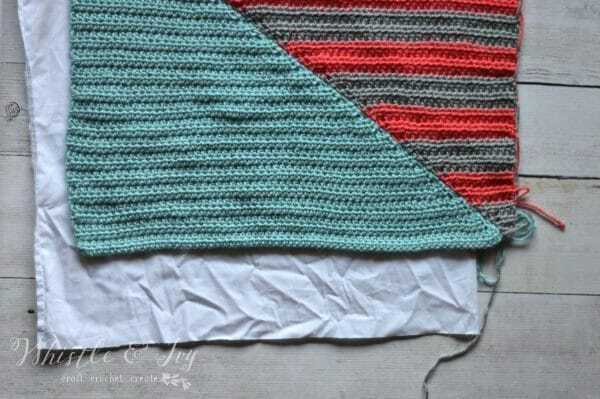 I think that I’m going to make 2 pillows – the Geostripe and the Round Ruffle one. I’ll use the same colors and have a his and her pillow for my couch lol. 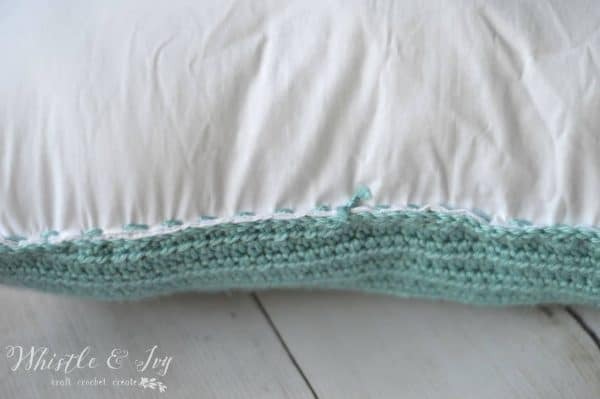 I’m new to crochet, but learning fast and the colors of this pillow are perfect for my sons/daughters nursery. So pretty!!! I want to make all of these projects…They would all be so fabulous! Thank you for sharing such a beautiful project! I’m fairly new to crocheting but you make it look so easy! Aw thanks! Crochet IS easy, it just takes practice and patience. Keep working! Thank you for the free pattern. I’ll have to make it and give as a gift. Please enter me in the contest I really need a yarn winder. Oh man I would love this I would make a pillow! Great yarn!! I’d make a pillow!!! 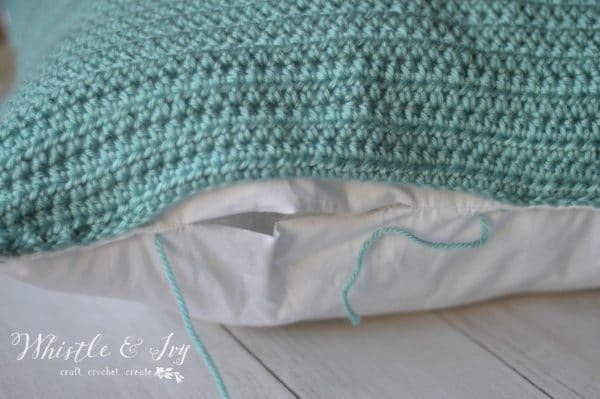 I could think of 1,000’s of projects that I could use the yarn for but I think I would pick something that is at the top of my list….like a pillow or blanket for one of the new babies that are coming soon to the family. October and November…I can’t wait to hold these new babies. I would make a large pillow for my new dog to sleep on. 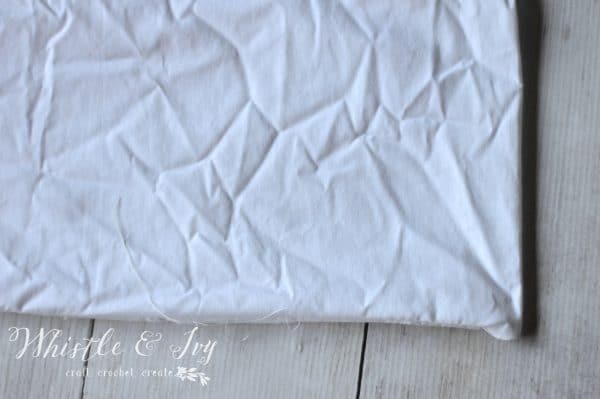 I can’t wait to try this project! I love it Bethany!! 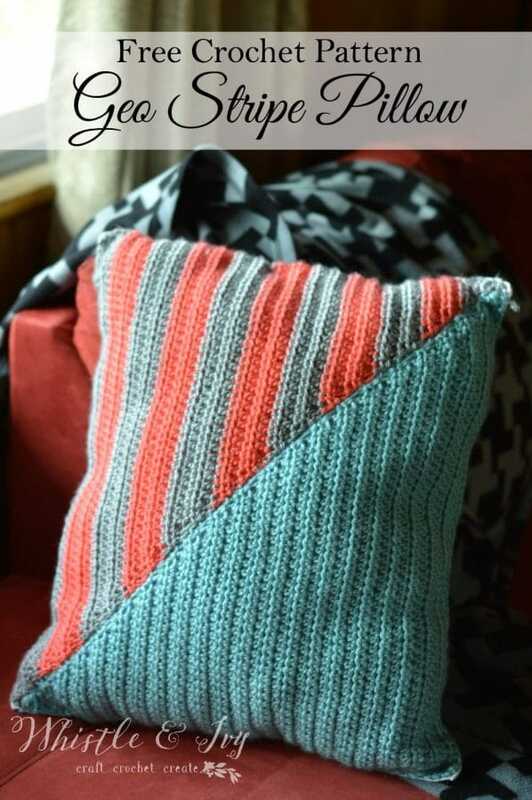 Those stripes are so great and I love that geo style – it’s perfect for anyone!